Whether you’re a history buff, curator, or not, there’s something for everyone to enjoy at the Royal Ontario Museum (ROM). From dangerous looking dinosaur bones, to gleaming gemstones, galleries of all interests subsist here. 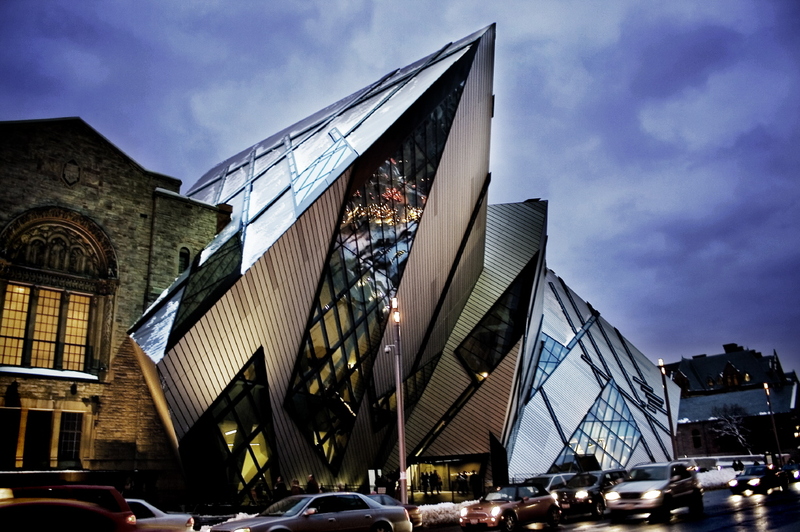 The ROM is Canada’s largest museum of world culture and natural history and the fifth largest museum in North America. Being positioned in the city of Toronto is fitting since this is one of the most stirring multicultural urban centres in the world. The Royal Ontario Museum contains over 6 million items and 40 galleries. It has remarkable collections of minerals and meteorites, dinosaurs, Near Eastern and African art, East Asian art, European history, and Canadian history. This museum is home to many travelling exhibits, such as the King Tutankhamen exhibit. Furnished rentals in Toronto can house those who travel with the exhibits. The ROM was initially known as the Museum of Natural History and Fine Arts in 1857. In April 1912 the Royal Ontario Museum was established by an Act of the Ontario Legislature. The ROM first opened its doors to the public on March 19, 1914. These subjects are all symbolized through unique, informative exhibits. The Gallery of Canada: First Peoples is devoted to the aboriginal inhabitants of Canada. It includes numerous examples of early 19th and 20th century artwork and clothing and is comprised of artifacts from the indigenous cultures of the Plains, Eastern Woodlands, Northwest Coast, Subarctic and Arctic regions. Another popular exhibit is the Evolution display with an audiovisual presentation on Darwin’s theories of evolution. Meanwhile, the Dinosaur collection is frequented by many who are attracted to the extinct animals, and is great for educating children. The Gallery of Korea is Canada’s only permanent gallery dedicated to Korean art and culture, displaying a variety of artifacts from stone-age tools to contemporary artworks. The museum is expediently located near Toronto furnished apartments for rent, and other tourist attractions. At the corner of Bloor Street and Avenue Road, north of Queen’s Park and on the east side of Philosopher’s Walk in the University of Toronto.